This tractor trailer-SUV crash occurred in the early morning of June 15, 2013. A fully loaded tractor trailer traveling south on Broadway crashed into our decedent’s SUV at an intersection. The crash pushed the SUV a great distance and caused the tractor trailer to overturn and slide along and off the roadway. The engine actually separated from the tractor cab and the trailer’s load of Budweiser products was strewn all over the roadway. Residential property in the area was severely damaged. Drivers of both vehicles died in the accident. 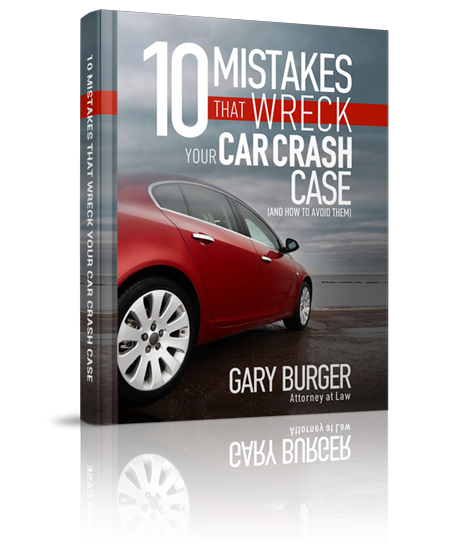 Gary filed suit right away and also investigated the case by hiring accident reconstruction experts. Through investigation, we identified post impact witnesses who heard the impact, looked up and saw that the northbound Broadway light was red. This strongly indicated that the southbound tractor trailer had violated the light at the intersection. Attempts to get video from the intersection proved fruitless. The skid marks on the road indicated that the tractor trailer was slightly into the left hand turn lane and slightly over the center line at the point of impact with the deceased plaintiff’s vehicle. We worked hard to investigate the case; and our expert determined the forces involved in the accident and concluded the truck was speeding at the time of the impact going 47-49 miles per hour. No one alive witnessed the impact but the post impact witnesses also suggested the tractor trailer was exceeding the speed limit. When we filed the lawsuit, we requested a defendant ad litem be named for the deceased truck driver. After the case was filed, the defendants removed the case to Federal Court as there was complete diversity of citizenship between parties. Then, in a separate action, we petitioned to have an estate opened in Jefferson County, Missouri for the deceased truck driver. After service and notice, the public administrator was appointed as the personal representative of the estate. Plaintiff successfully substituted the estate of the deceased truck driver as the party defendant instead of the defendant ad litem in Federal Court. This destroyed diversity and we filed a Motion to Remand the case to state court, where it belonged. These actions were strongly opposed by the defendants. We were determined to get a great result for the family, but the case did not settle at mediation. Eventually, we were able to settle the case for 5 million dollars. The Court approved the settlement. We put the funds in a structured settlement to benefit the minor child of the deceased and also opened a separate conservatorship so that the funds can be monitored by the Court. All told, four separate probate cases were needed to resolve this case.